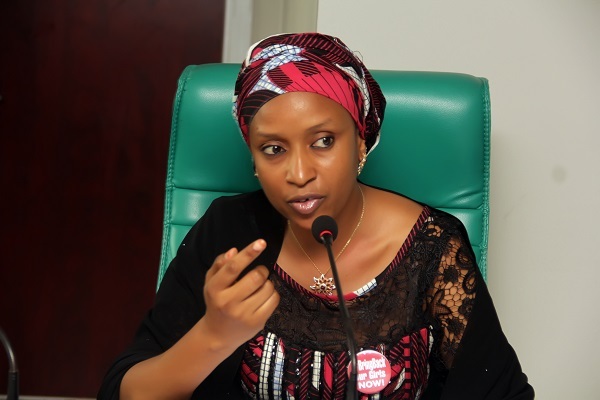 The Nigerian Ports Authority [NPA] is to fully participate in the forthcoming 39th Kaduna International Trade Fair scheduled to hold between the 23rd February to 4th March,2018, the Managing Director has assured. She gave the assurance in Lagos today while receiving a delegation from the Organizers of the Kaduna Chamber of Commerce, Industry, Mines and Agriculture [KADCCIMA] who paid her a courtesy call at the Corporate Headquarters, Marina, Lagos. The Managing Director who commended the Organizers of the Fair for its giant strides over the years particularly noted the relevance of this year’s fair theme which is Promoting Commerce, Industry and Agriculture as a compliment to the efforts of the Federal Government towards revamping the economy by encouraging investments in Agriculture, Manufacturing, Trade, Services and Technologies. The delegation was received by the Assistant General Manager Corporate and Strategic Communications [C&SC]Isah Suwaid on behalf of the General Manager of the Division Abdullahi Goje. Earlier, the President of the Kaduna Chamber of Commerce, Industry, Mines and Agriculture [KADCCIMA] Dr. Muheebat Dankaka [OON] solicited for the cooperation and improved synergy with the NPA Management towards the overall success of the forthcoming Trade Fair. According to her, this year’s event which is the 39th in the series is to further create an avenue through which investors from various parts of the country and beyond would exhibit their goods and services for the growth of the Nation’s economy. Dankaka explained that this year’s event would witness amongst others a Business Roundtable with the theme Promoting Made in Nigerian Products for International Competitiveness quiz competition amongst students in the Senior Secondary School level as well as a seminar under the theme of this year’s trade fair. The Chamber’s helmsperson was accompanied to the NPA Headquarters by Ach. Suleiman Aliyu Deputy President, Hon. Ishaya Idi Council Member, Alhaji Tijjani .A. Musa Council Member, Mallam Usman . G. Sanlawa DG/CEO and Felix Oloruntoba Head Trade Fair and Exhibition.